Google News is Google’s own news delivery service offering up-to-date information from trustworthy news sites. You can see the tab for the ‘news’ link at the top of Google when you make a search, and sometimes news is displayed on the front of Google when you search. Now, getting into Google News is very tough. There are a lot of requirements to meet, both technical and in terms of quality of your content, but the advantages of getting into Google News are vast. For example, if you’re in Google News you’ll find you’ll receive huge boosts of traffic whenever you write a new post, especially if that post is particularly topical. You’ll also receive hundreds and thousands of free back links from sites that subscribe to Google News, which of course vastly aids your SEO. Here’s an example of one of my sites which is in Google News, TheTransformers.Net. Yesterday a post was written about the new Transformers movie, Transformers Revenge of the Fallen. The post spoke of new photos that had been released, one of which featuring Megan Fox. For those who don’t know, Megan is a particularly searched for lady on the Internet, and my post on TheTrasnformers.Net landed itself a top place listing in Google’s organic search (via Universal Search) when the story broke, as can be seen here. 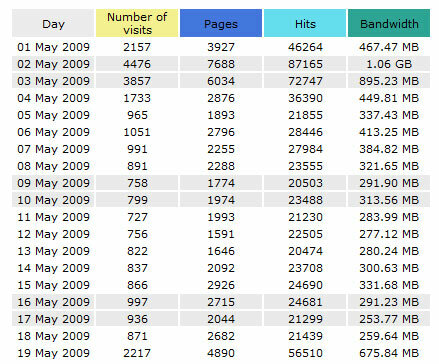 Naturally, being listed at the top of Google for a search on Megan Fox brought a wave of traffic to the site, as you can see from the stats below for May 19th. 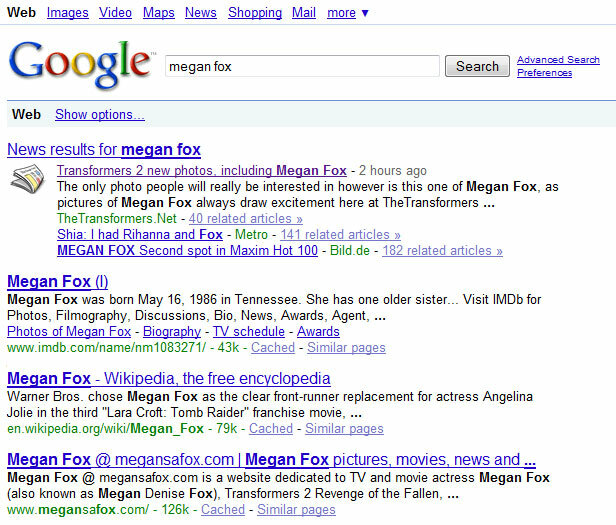 Plus, any sites that feature Google news feeds looking for information on Megan Fox (of which there are many) also featured links to TheTransformers.Net, which helps its organic search rankings. So you see, getting into Google News is great for your SEO and really boosts your rankings and traffic. Incidentally, MrDaz.com isn’t in Google News, nor will it ever be… it’s not quite the site they’re looking for. Is yours?